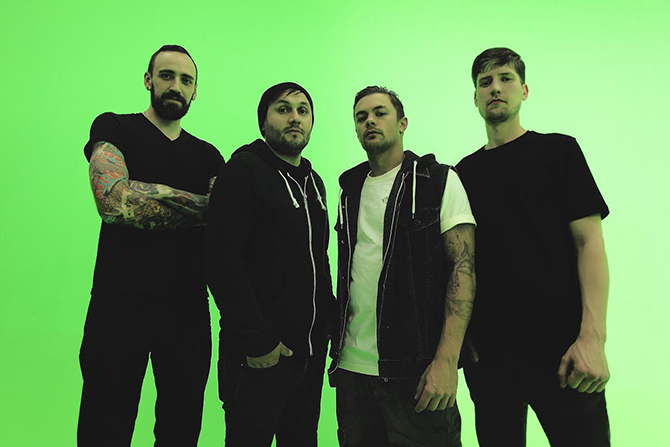 Twin Cities metal band After The Burial are currently streaming Dig Deep, their fifth full-length album, serving as the direct follow-up to 2013’s Wolves Within. The album is the band’s first to be released following the devastating and untimely passing of founding guitarist Justin Lowe who died in July of 2015. However, at least some guitar playing from Lowe made it onto Dig Deep. Featuring some of the band’s most promising work in years, Dig Deep shreds right out of the gate and rarely allows for a breather. It might not impress those who’ve grown bored and exhausted by breakdown-fueled deathcore prominent on the Sumerian roster, but if you’re a fan of the band, especially their earlier, Rareform-era work, you should find yourself pleased with the band’s newest material. Dig Deep will be officially released tomorrow, February 19 through Sumerian Records and can be purchased in a variety of bundles and formats through the label’s website. You can listen through its nine-track entirety below, via Metal Injection.